Hello Paul, thank you for taking the time to answer our questions! Let’s start with you und your team. Would you please tell us something about the people behind Sceenic? Sure and thank you too for your support and time. Well, I would say we have very different personalities but we compliment each other pretty well. Our CTO Aharon Yechezkel is very methodical, structured and loves building big enterprise software systems and products. In his words: “I love seeing the product come alive”. Then there is our COO, Jonathan Williams. For every 100 words that I say, Jonathan will say about three. He is focused on the business and a tough negotiator, so we call him “the closer”. And there is Paul, that’s me, the CEO and head of product innovation, I’m very outgoing, curious to experiment where others are scared to try and generally a very impatient and hyperactive person. I love product innovation based on human behaviour. Our engineering team members are super patient and experts in video peer 2 peer communications and without our team work, none of this would be possible. What brings us together as a team is the drive towards one vision and goal, to bring people and families together around the videos or TV they watch. You will often see us in our spare time boulder climbing together (we even did this in Hamburg) or bike riding around the city. 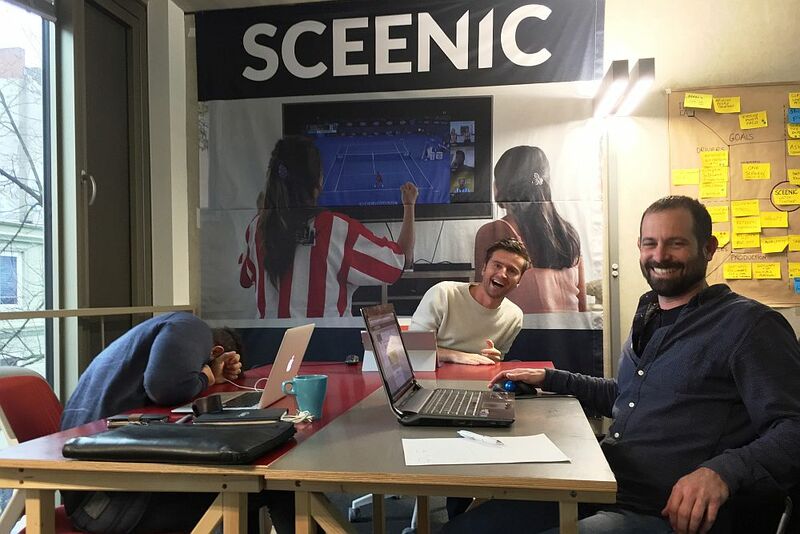 How did you come up with the idea for Sceenic and your software Watch Together? It’s actually a true story that happened to me whilst I was living in Argentina running MTV’s digital division. In 2014, it was the Volleyball World Championship Final, Poland vs Brazil. My dad rang me from London to Argentina as we were watching the same match separated by 11,000 km and commenting it together on the phone. We then moved onto a video call and could see each other and even open beers together “virtually” via the video chat whilst still watching the same match. At this moment, the idea of Watch Together was born and I left MTV to start working on it. How does Watch Together actually work? But if you also want a few words: for example let’s say you are watching the Eurovision Song Contest on NDR’s website in Germany and NDR has enabled our software solution on their website. Then, you would login as normally into NDR’s platform, choose what you want to watch at which point a “virtual room” would be created unique to you, and you invite your friends via Facebook contacts or a direct link. When your friends receive the link or invitation, they are taken directly to your “virtual room” and they can video chat with you whilst watching the same piece of content. How are you connected to Hamburg? 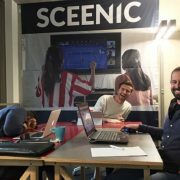 Our connection to the wonderful and beautiful Hamburg started when Sceenic was accepted to the Next Media Accelerator (NMA) in February 2017. We lived and worked in Hamburg for six months, further developed the product and connected with corporates like NDR, Tagesschau, SKY, Axel Springer, Welt, Sport1 and many more via NMA’s managing partners Nico Lumma’s and Meinolf Eller’s network of connections. This way we were also invited to speak at the NewTV Congress in Hamburg in March 2017 and then won 2nd place at the Startups@Reeperbahn Pitch organized by the energetic Sanja and Sina from Hamburg Startups. Hamburg has an outstanding media eco-system of corporates, investors, partners and organizations like nextMedia.Hamburg, NMA and Hamburg Startups that support small companies to grow and scale! It’s really a special place with everyone wanting to see companies grow. Sceenic has been quite successful recently. Please tell us about your most important milestones! I think we are slowly achievement our goals and objectives. Our most important milestone recently was to launch with our client Rogue, which is an esports organization, and we launched for them the world’s first esports watch together platform. Another big milestone was that last week we won the BT SPORT Innovation Awards and now get to run a trial of our technology with BT SPORT, which is a huge achievement that we have worked on for months. Another achievement has been getting to the finals at the SXSW Accelerator Pitch in the Entertainment and Media Tech category, as there are only five finalists, and off course joining the Hamburg Startups Delegation to SXSW. We have a few other clients we have been working on, which we cannot announce publicly yet, and also an investment we will announce on the 12th of February which we are very proud of. So it’s been a very busy time with clients working in the background for sure! How did you secure your starting position at the SXSW Accelerator? Well, we were honoured to be in the finals at the Startups@Reeperbahn organized by Hamburg Startups and we won 2nd place. As an official partner of SXSW, Hamburg Startups is allowed to nominate startups for the SXSW Accelerator and Sanja told me that we should apply for the pitch and provided us with a code. We did and got to the final 5 there too. So it’s really thanks to Hamburg Startups we even got to have this opportunity. What are your hopes and plans for your trip to Austin? The closer it gets, the more connections we are making with media companies in the US that are looking to meet with us at SXSW. We plan to meet with media corporates that we can sell our watch together solution in the USA in order to bring it to the huge US market. 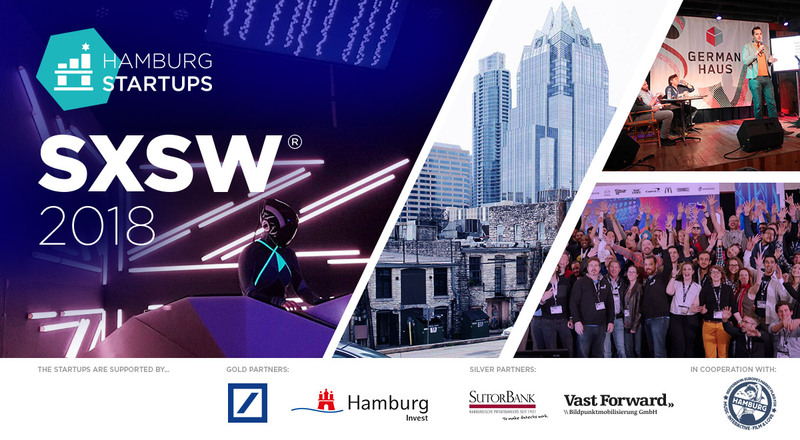 I want to check out the New Media day at the German Haus at Barracuda and also we will be part of some of the Great Britain Innovation events at SXSW, so I’m really looking forward to connecting with media investors and potential clients there. Last but not least, we just want to meet super passionate investors who want to change the world of media watching with us. Is that too much to ask for? haha 🙂 Even thought it’s a huge event and normally you can get lost in all the hype, we are organising as many meetings with potential clients as possible to get the most out of SXSW! 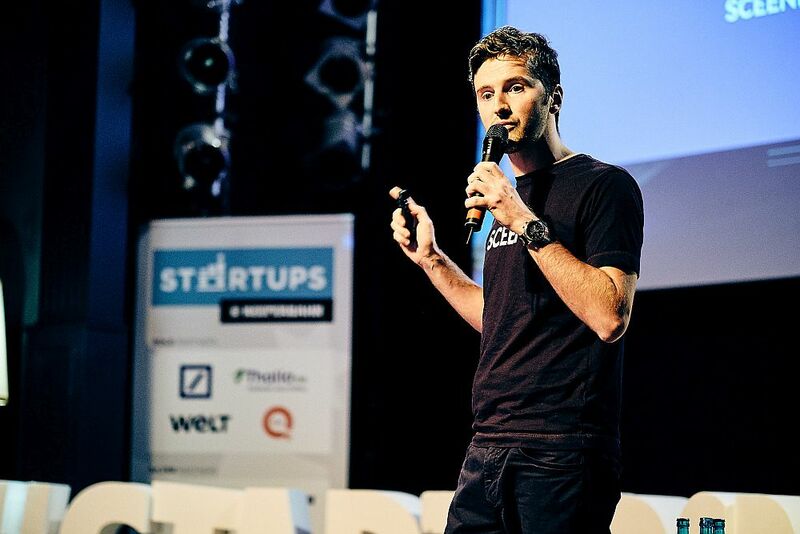 Really looking forward to seeing you Mathias and the whole Hamburg Startups Delegation family in Austin and showing there how great European startups are! Oh and how could I forget, we want to try also the best ribs in town – I heard that’s a must do. Thank you for the interview – see you in Texas!